Croft probably isn’t one of the more high profile circuits on the BTCC roster, but it remains a firm fan favourite thanks to its mix of technical sections and flat-out, bravery testing, top-gear bends. Factor in the stunning weather and soaring temperatures, and it really isn’t so surprising that thousands of motorsport fans descended on the pretty track for rounds 13, 14 and 15 of the 2018 season. 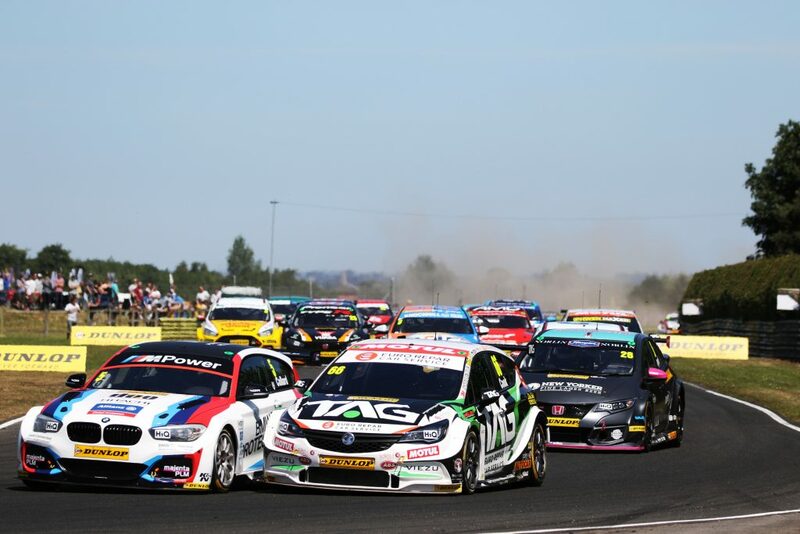 Croft’s layout has traditionally favoured those teams running rear-wheel drive machinery, at least in part; the circuits high speed opening section has enabled the likes of BMW and Subaru to dominate here in recent years, and so it proved in 2018. Ash Sutton’s storming run to pole on Saturday was followed by victories in races 1 and 2, though his dominance didn’t prevent the works Hondas from battling hard all weekend. 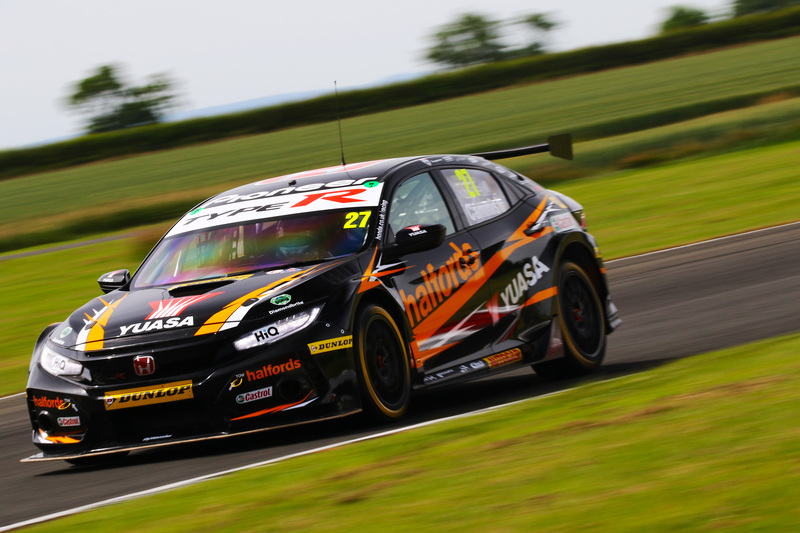 The Civics of Matt Neal and Dan Cammish were compromised on Saturday with their setups, both drivers struggling to dial in the optimum chassis arrangement for Croft’s multi-faceted layout, and it resulted in both qualifying well down the order – P15 for Matt and P19 for Dan. With nothing to lose and plenty of ground to make up, the Team Dynamics engineers spent the evening radically overhauling the setup of the two Civics, and the cars which emerged for race one the following day looked far more at home at Croft, capable of fighting up the order. Matt Neal managed rather better than his team mate in this regard, the series stalwart up to P9 by the checkered flag, while Cammish dropped back down the order to end the race in the position in which he’d begun it. 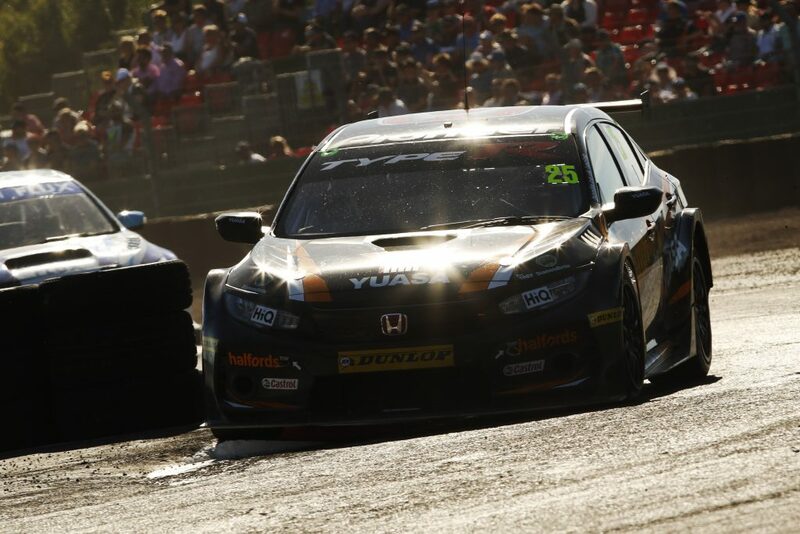 The Civic pair continued their quest to extract as many points from a trying weekend as possible in race two, Neal keeping his elbows well out, battling hard with the older Civic of Dan Lloyd and ultimately coming home in P7, four places ahead of Cammish in 11th. Neal’s determined racing in race two meant that he started the final race of the day in P3, though he’d been forced down to fourth by the hard charging Sutton by the end of the ninth lap. 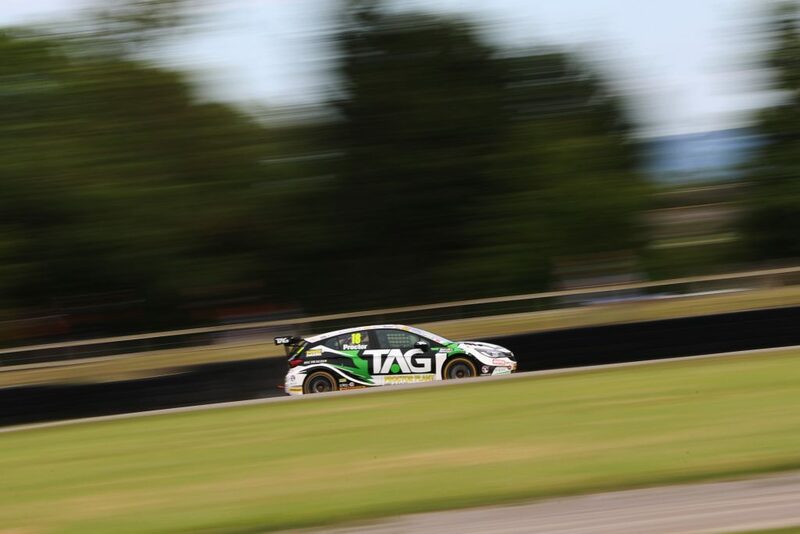 The pair then began a race long tussle, one which eventually saw the Levorg to come off worse thanks to a brilliant late-braking move down the inside of Clairvaux from Neal and crossed the line in fourth, six place ahead of Cammish in P10. Croft was a tricky weekend for the works Hondas, make no mistake, but both drivers put in tenacious performances to extract as much from the weekend as possible. 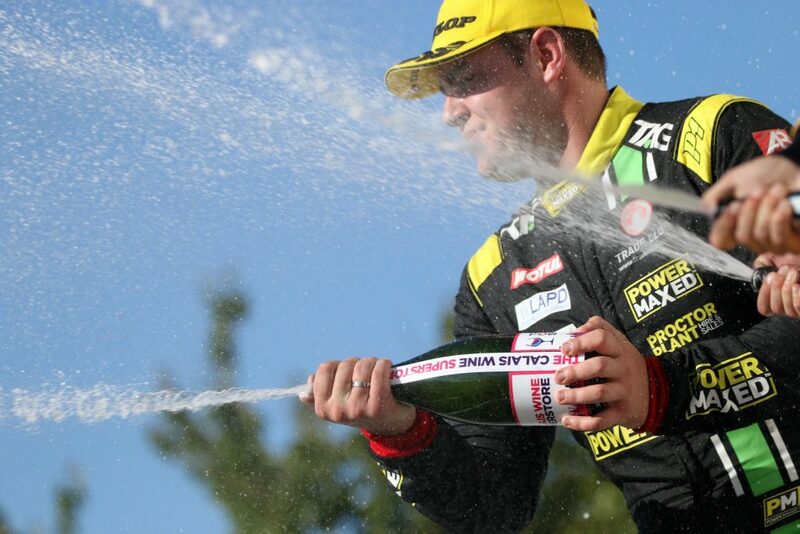 Neal remains in the title hunt with 127 points, 35 down on championship leader Turkington. Cammish remains in control of the Jack Sears Trophy with a 25 point margin. Honda sits in second in the chase for both the manufacturers’ and the teams titles. The guys and girls at Power Maxed Racing were another outfit forced onto the back foot at Croft by dint of running front-wheel drive machinery, in this case the team’s brace of Vauxhall Astra Ks, perhaps one of the surprise packages of the season. Both Josh Cook and Senna Proctor were out to improve upon their poor showing at Oulton Park, and while the duo’s trip to North Yorkshire failed to deliver another win, it did at least enable the team to scoop yet another podium and a handy haul of points. In line with pretty much every other front-wheel drive running team, in qualifying both Cool and Proctor struggled against the likes of Andrew Jordan (BMW) and Ash Sutton and Jason Plato (Subaru), the rear-wheel drive machines very much in their element at Croft. They ended the session in P9 (Cook) and P14 (Proctor) respectively, the former hampered by poor luck, yellow flags and a touch of success ballast. The opening race of the day bore witness to an entertaining tussle between Cook, Stephen Jelley and Rob Austin, the BMW and the Alfa eventually taking themselves out of contention and enabling the Astra man to cruise to a well deserved P7, just four positions ahead of his traffic-hampered team mate. The second race of the day began in dramatic (read gut-wrenchingly terrifying) manner for Josh Cook, the championship contender suffering brake issues at high speed! Cook exited the track at Tower on lap one, cutting through the farmland and re-joining the track, albeit at the back of the order. Though the team worked hard to get him back out and circulating before the end of the race, a desire to inspect the cause of the issue in the lead up to the final race of the day saw Cook retire before the flag. Senna Proctor drove brilliantly and spent most of the race fighting with the Motorbase Focus of Tom Chilton, a squabble soon joined by the works Civic of Matt Neal. Though Proctor was eventually forced to settle for P8 he did at least bank more championship points. Race 3 saw Proctor tasked with leading the Power Maxed Charge, a task he took to like the proverbial duck to water, giving chase to the Dan Lloyd and Tom Chilton in P1 and P2 respectively. He rallied once again as the race entered its closing phase and very, very nearly usurped Chilton for second, but the Motorbase man just managed to hold on. Josh Cook drove brilliantly, overcoming the handicap imposed by starting plum last (and in the pits), ending the drama filled race in a brilliant P18. Cook and Proctor currently sit in P9 and P10 in the drivers’ championship standings, with Vauxhall and Power Maxed in P3 in the manufacturers and teams standings respectively.